Small garden firework. Popular with young children. 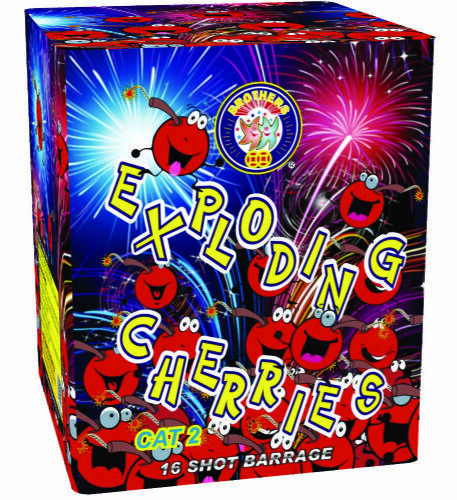 They do what they say on the 'Tin', let the Cherries free and watch them explode and splatter, creating a mess masterpiece of the dark sky above. 16 shots.